In this photo illustration, a woman uses the Uber app on an Samsung smartphone on September 2, 2014 in Berlin, Germany. Uber, an app that allows passenger to buy rides from drivers who do not have taxi permits, has had its UberPop freelance driver service banned in Germany after a complaint by Taxi Deutschland, a trade association of taxi drivers in the country. The company, which operates in 42 countries over 200 cities worldwide, plans to both appeal the decision made by a court in Frankfurt as well as, at the risk of heavy fines, continue its services in Germany until a final decision has been made on the matter. Portsmouth, New Hampshire, officials will take more time to review Uber's proposal to change an ordinance by removing a criminal background check requirement for ride-hailing companies. The Portsmouth Herald reports the council voted on Monday to delay action on the changes and discuss the issue again at a later date. 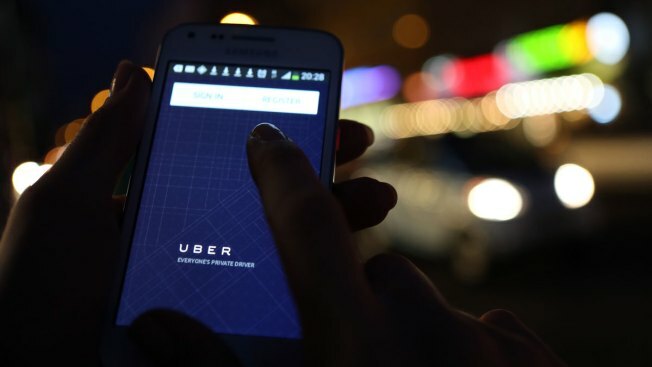 An attorney representing Uber wants to remove a provision that forbids people from driving for taxi or ride-hailing services if they've been convicted of a misdemeanor in the last seven years or a felony in the past 15 years involving controlled substances or violence. Assistant Mayor Jim Splaine moved to authorize the council to consider the changes. Mayor Bob Lister has said he won't support a change to the transportation ordinance and voted against an additional review on Monday.